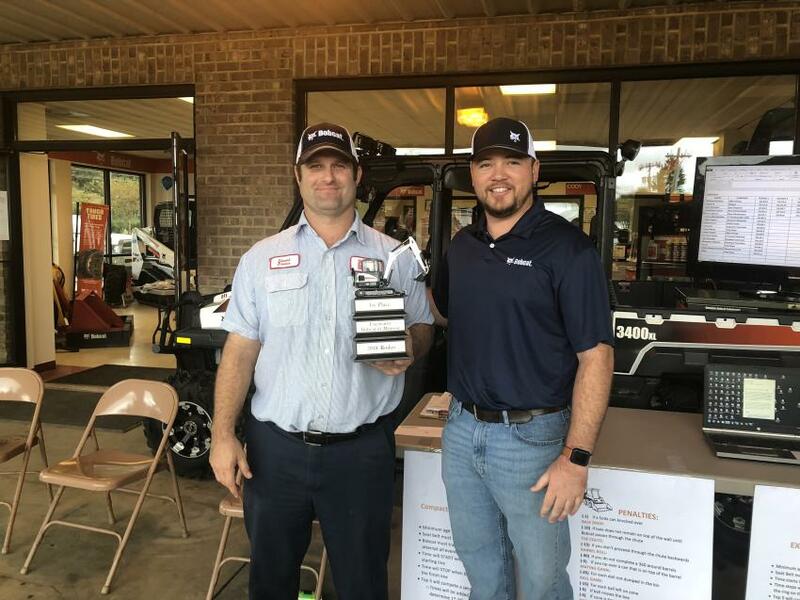 On Nov. 2, Bobcat of Monroe, N.C., held an open house and customer appreciation event attended by more than 125 area contractors. A hearty lunch of hamburgers and hotdogs was served, along with all the fixings, Coke and of course, Halloween candy. 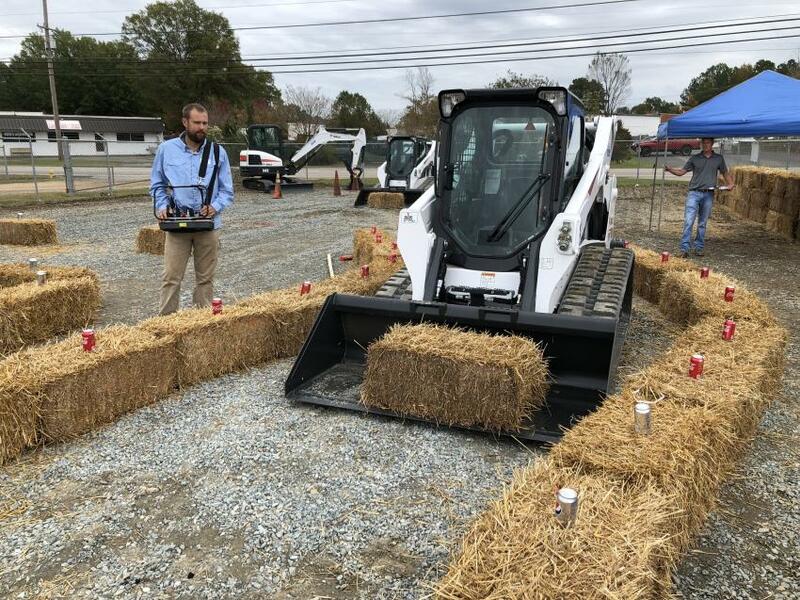 The event included a Bobcat track loader obstacle course challenge in which operators maneuvered the machine through a tight course. There also was a challenge featuring the Bobcat E42 excavator. 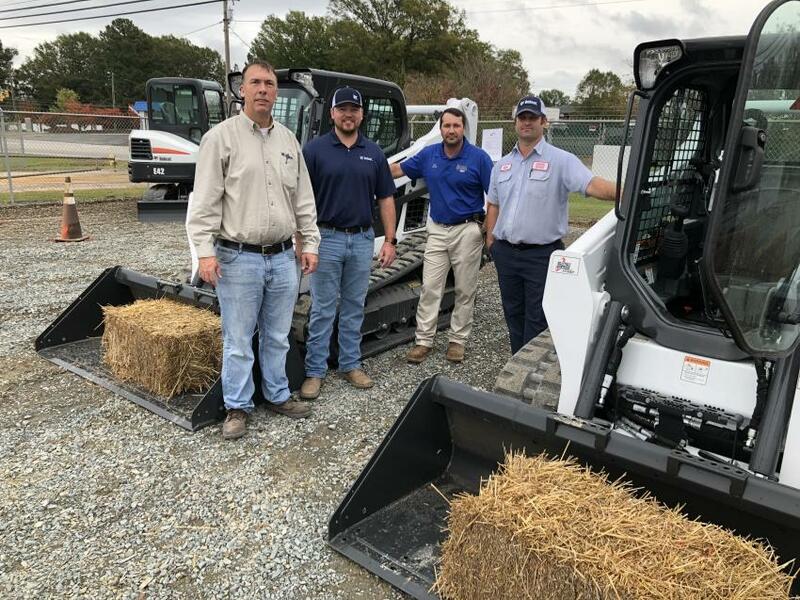 Bobcat of Monroe offers a service area that can accommodate 12 machines at a time. The company also has 2,000 sq. 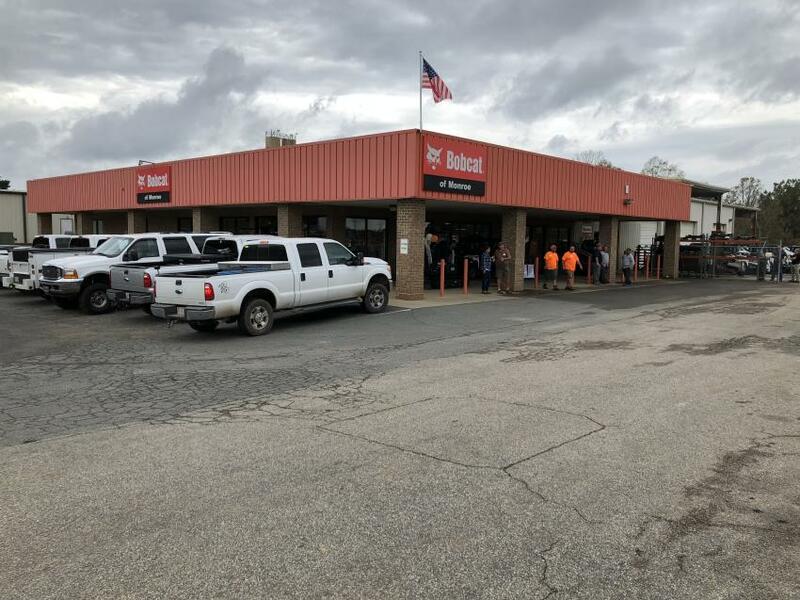 ft. of parts space and maintains 95 percent parts availability, with 11,600 line items in stock and a $2 million parts inventory. 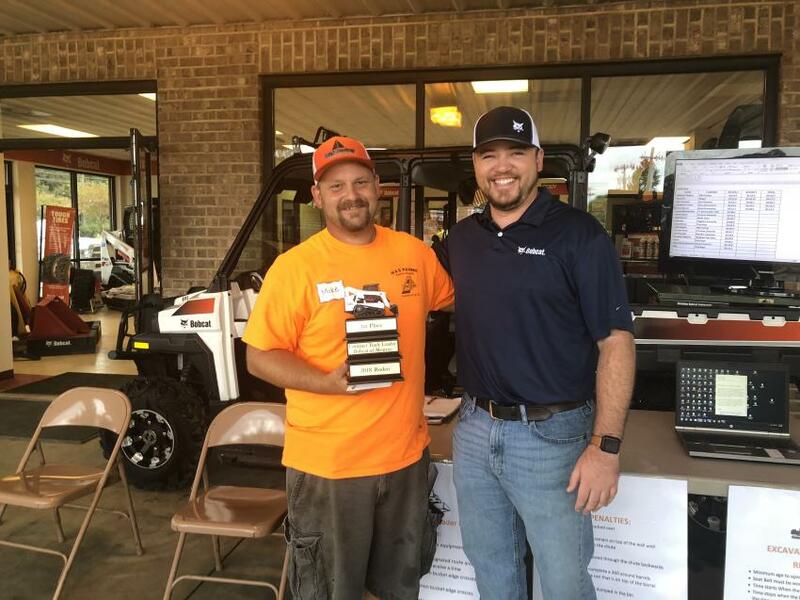 Bobcat of Monroe welcomed more than 125 area contractors to its open house and customer appreciation event Nov. 2. 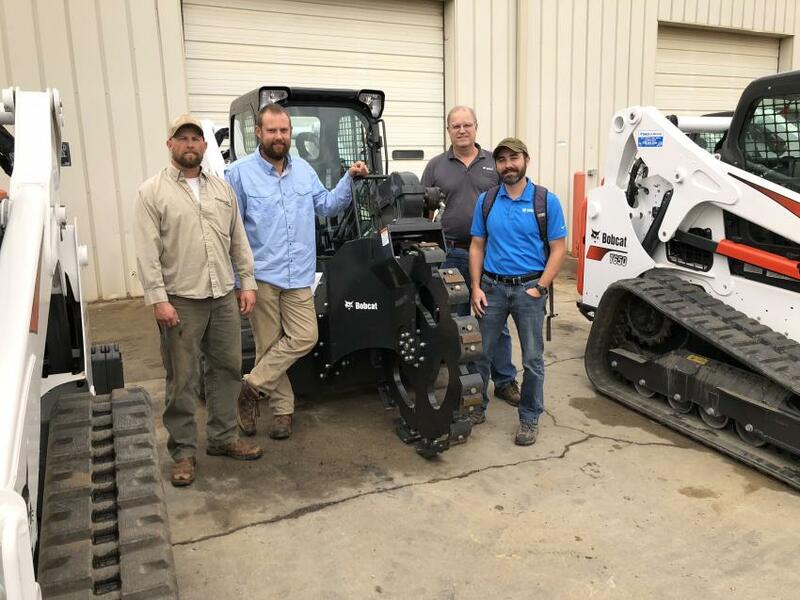 Cody Mullis (R), Bobcat of Monroe, welcomes Stuart Brown, McGee Bros. Company, Monroe, N.C.
Cody Mullis (R), Bobcat of Monroe, greets Michael Shelton, H & S Paving, Marshville, N.C.
(L-R): Randy Warrington and Cody Mullis, both of Bobcat of Monroe, go over the Bobcat product line with Ryan McGee and Stuart Brown, both of McGee Brothers Company Inc., Monroe, N.C.
(L-R): Randy Warrington and Dan Debe, both of Bobcat of Monroe, go over the obstacle course map with Chris Morris and Jonathan Couick of New Dimensions Outdoor Services in Indian Trail, N.C.
(L-R): Brian Gunter and Brandon Watson, both of Waxhaw Tree Services in Waxhaw, N.C., talk with Brian Porter, Bobcat of Charlotte, about the Bobcat T595 compact track loader. The Bobcat product line has been engineered to make routine service easy. 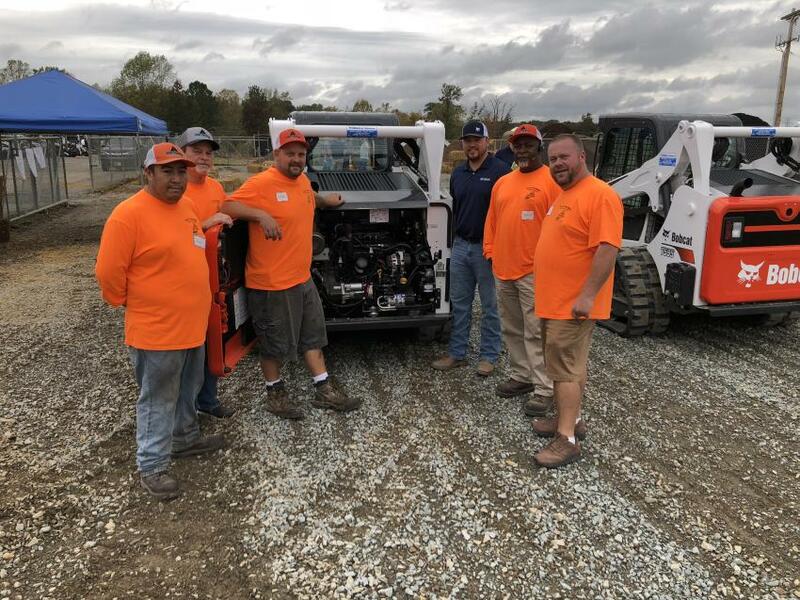 Cody Mullis of Bobcat of Monroe (third from right) goes through it with representatives of H&S Paving in Marshville, N.C., (L-R) Alex Vargas, Tommy James, Mike Shelton, William Walls and Jody Stegall. Bobcat offers many different attachments to increase the productivity of its machines. Going over the trench tamp attachment (L-R) are A.J. 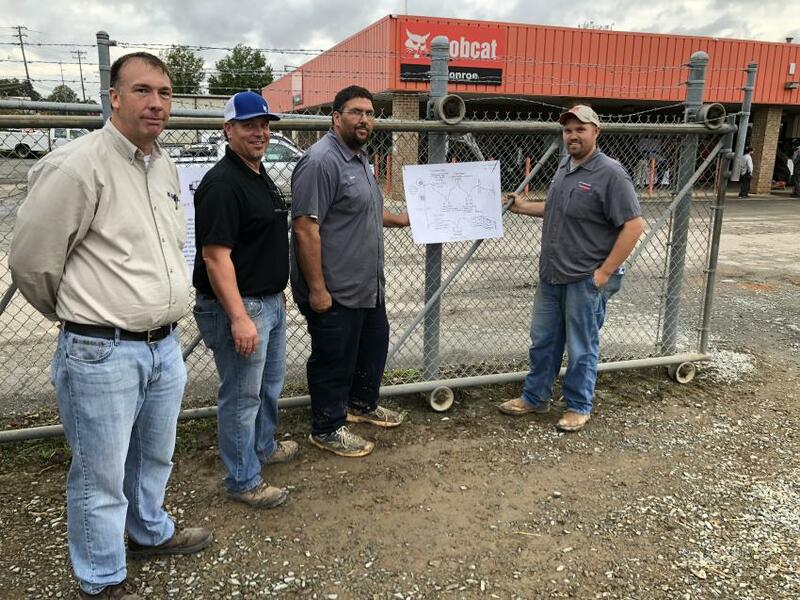 Waller and Ryan Sloop of Sloop Fence in Mount Ulla, N.C.; Scott Corriher, Bobcat of Charlotte; and John Valentine, Bobcat of Kannapolis. 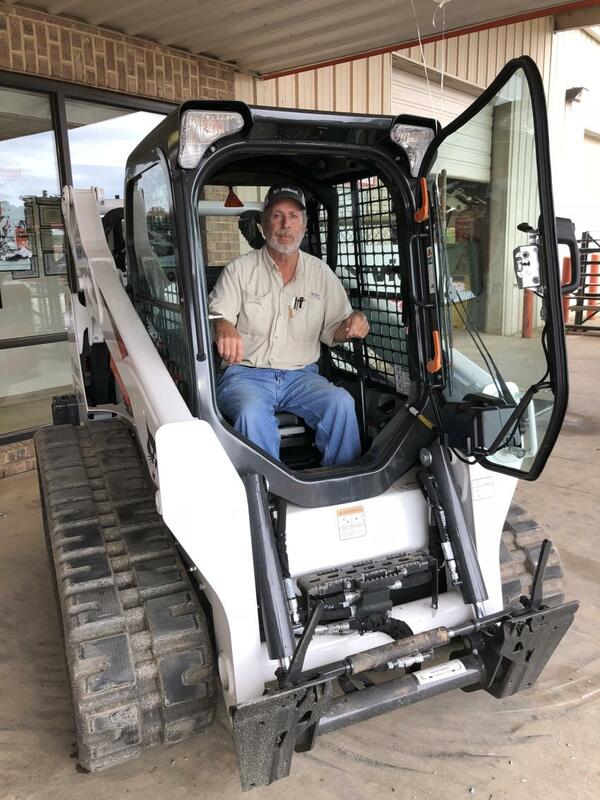 Richard Porter of Porter Grading in Peachland, N.C., in the cab of the popular Bobcat 595 compact track loader. 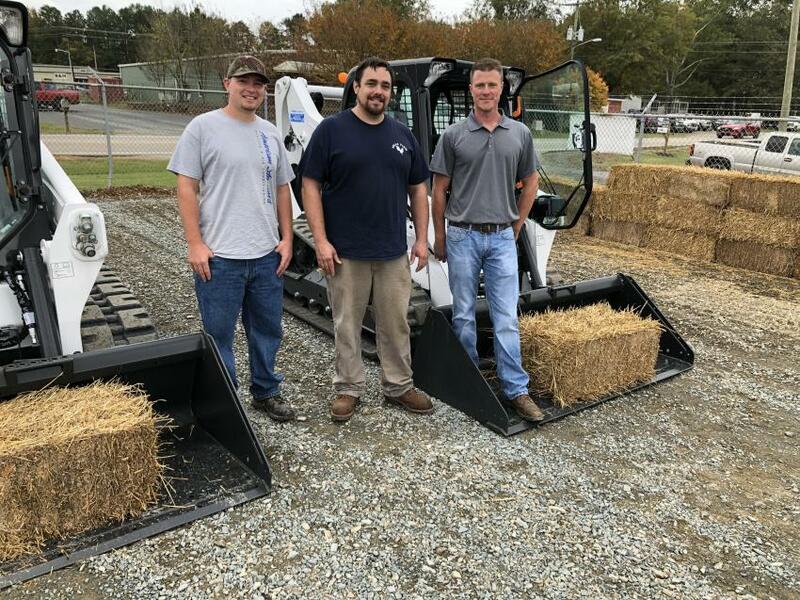 Ryan Sloop of Sloop Fence in Mount Ulla, N.C., operates the Bobcat T595 via remote control. 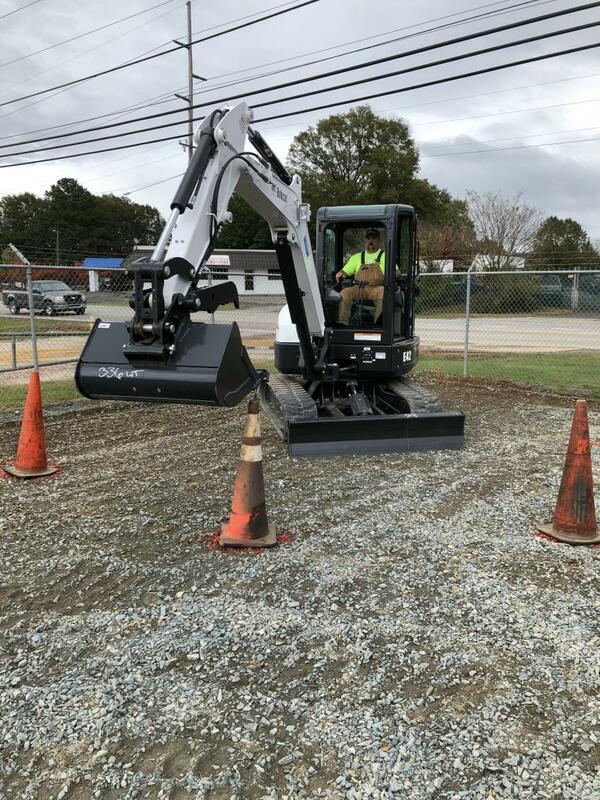 Casey Blackwelder, CT Blackwelder Land Management, Concord, N.C., scored well in the skills competition using the Bobcat E42 excavator. 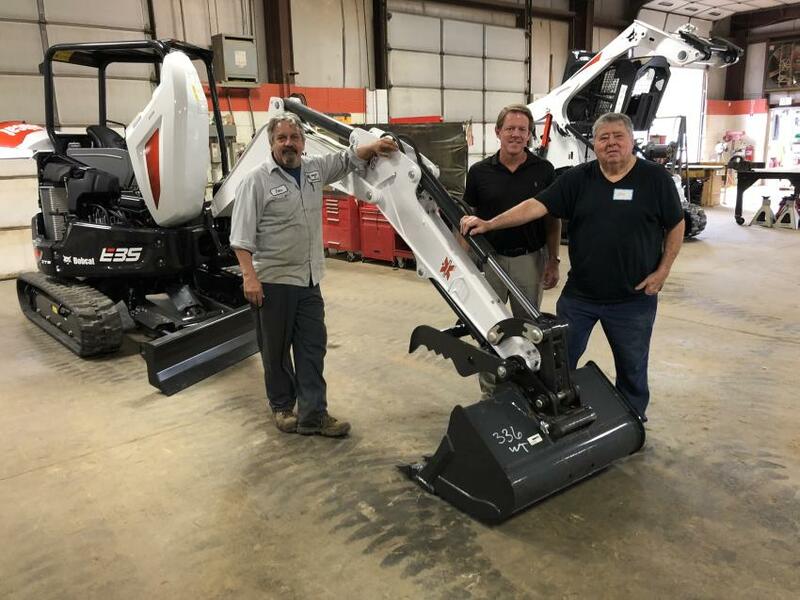 (L-R): John Davis of Bobcat of Monroe; Steve Thigpen, president of Bobcat of Monroe; and John Starkey of Polyreps of Monroe look over the Bobcat E35 excavator.